Hall of the Mountain King: Review: Gamma Ray, "Land of the Free II"
Review: Gamma Ray, "Land of the Free II"
It’s a tried and true formula. You’ve put out a couple of records that were slightly different in style and perhaps not as good as earlier records, a few fans grumbled. You want to make it clear you’re returning to your old style, so you name your new record after one that's widely considered by fans to be your best album and add a number to it. It’s also a pet peeve of mine because it’s an obvious ploy that will get people’s attention and the records never live up to the one they’re named after. The same can be said of “Land of the Free II,” however, the gap here is much smaller than between, say, Queensryche’s “Operation: Mindcrime” records. 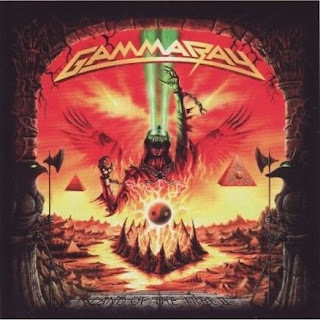 Gamma Ray does indeed return to the happier, faster brand of power metal that they made their name playing, and while it probably won’t equal the first in most people’s minds, it’s not a bad record by any means. 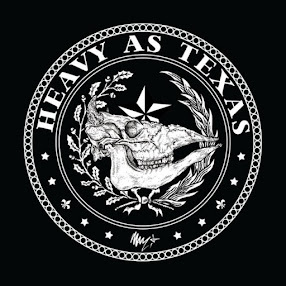 The announcement that the band is going back to basics is made with the quick blast of the opening track, “Into the Storm,” which features the Gamma Ray trademark big melodies and hooks. Second track, “From the Ashes,” finds them in a galloping bit of Iron Maiden worship, which works really, really well right up to the chorus, which takes a left turn into generic power metal. Maiden is a recurring heavy influence throughout the album, as they have been throughout Gamma Ray's career, popping up again on songs like "When the World." Fans of Gamma Ray’s classic sound should be most pleased with “To Mother Earth” and “When the World” which have all the speed, blazing riffs and soaring chorus vocals you expect from the band. As for me, I prefer the slightly heavier and darker tunes like “Rain.” That said, one of the strongest tunes here is also one of the bounciest and happiest, “Empress.” The song has an infectious, upbeat opening and a great chorus melody. Surprisingly, the epic number here, “Insurrection,” is solid, too. I always groan a little when I see a power metal song clocking in at 11-plus minutes because they tend to drone on. But with this tune, Gamma Ray makes it interesting. Though overall perhaps a bit more restrained and toned down than the first installment of “Land of the Free,” this record is that rare album with a number behind it that really does signal a return to better times. Vocalist Kai Hansen still has the great pipes, and he and Henjo Richter deliver great riffs that range from memorable traditional metal to fast, precision power metal. Fans of Gamma Ray should not be disappointed. Get "Land of the Free II." Review: Rob Rock, "Garden of Chaos"
Review: Shooter Jennings, "The Wolf"
Review: Helloween, "Gambling with the Devil"
Best of '07: 1. Down, "Over the Under"
Best of '07: 3. Iced Earth, "Framing Armageddon"
Best of '07: 4. Lillian Axe, "Waters Rising"